Your Questions Answered: Which bar is best for breakfast? In the mid-eighties, PowerBar, the first "energy bar" was introduced to the market by a marathon runner who saw the need for a highly portable product with a big rush of carbohydrates and calories. It was of a molar-extracting consistency, hard and gooey at the same time, tasting of sweetness and sadness, designed to provide a wallop of energy to endurance exercisers. 30 years later and bars have become a ubiquitous part of the busy American's diet. In the bar section of your local grocery store, pharmacy or "sports nutrition" store (notice my "quotes"), the bar section looks an awful lot like the candy section, with brightly colored bars enticingly arranged. You'll find bars that are nutritionally similar to a candy bar, some with glut of protein from dubious sources, many with more fiber than should be able to fit into such a small bar, plenty of artificial sweeteners and sugar alcohols, expensive bars with funky infusions of "adaptogenics," and others made from natural ingredients stuck together with goo. They range from $.99 to upwards of $3-4 each. A question I get quite frequently is, "Which bar is best for breakfast?" To which my typical response is, why the heck would you want to eat a bar for breakfast? We are trying to cram in food as quickly as possible instead of listening to what our bodies what to eat, and using our senses to savor and enjoy our food. We are devaluing our food and by extension, our bodies. There's nothing wrong with having a bar every once in a while when you can't get to a proper meal. But it belongs as the exception, not the go-to. Even the best of bars, identifiable by the fact they are made with actual real food clearly discernible on the nutrition panel, pack a relatively significant chunk of calories into a small package. Part of satiety--that is, staying full--is volume. Eat a small bar for breakfast--even one packed with 300 calories--and you're likely to be hungry again long before lunch. Instead, why not take 10 minutes and enjoy a breakfast like a bowl of overnight oats with fruit, avocado spread on sprouted whole grain bread, oatmeal with nuts and seeds, or umpteen other quick and delicious options you can make and eat in less than 10 minutes. Honor your body with real food the majority of the time, and your body will thank you. Need support in breaking up with bars and eating healthful, filling food that's fast? Let's talk. Then make avocado toast with about 1/4 of an avocado mashed over one piece of toasted sprouted grain bread, like Ezekiel Bread. Then ever-so-artistically spread your beet yogurt over the avocado. Add a sprinkle of chunky salt and hemp hearts, and voila! AvoUnicorn Toast with whole food ingredients, no junk. I can't even begin tell you how many clients come to me swearing up and down they just don't have time to eat a nutritious breakfast. They skip it, or they just opt for coffee. Some eat something very small, like a banana, while others chow down in the car on grab-and-go, nutritionally devoid packaged breakfast foods--I'm lookin' at you, Nutrigrain Bars, Quaker Chewy Granola Bars and Belvita Breakfast Cookies (more on my beef with Belvita HERE). If the rest of these clients' diets were solid, with plenty of vegetables, lean proteins, whole grains, nuts, seeds and fruit, I'd look the other way on the paltry breakfast; but that's rarely the case. A poor (or skipped) breakfast sets the tone for the day, leading to serious mid-morning hunger and lousy food choices, and those choices frequently continue through the day right through to late night junk food snacking. Mix the oats, salt, seeds & nuts (including chia seeds if using), and cinnamon well. Then stir in about half the milk, getting the cinnamon well distributed. Then add the rest of the milk to cover the oats and seeds entirely--it should be a bit soupy, but the oats will soak up some of the liquid (and if you’re using chia seeds, they’ll soak up significantly more). Once everything is combined, add the frozen fruit and sweetener. If you're using fresh fruit, you can add it now, or wait and add it in the morning. Let it sit overnight (or up to two nights) and enjoy it cold in the morning. You can additional milk for serving if you prefer the texture. If the mixture is too liquid, you can strain some of the milk off or add yogurt to thicken. Once you find a combination you love, combine the dry ingredients in plastic containers at the beginning of the week, then add your milk one or two nights before you plan to eat them. 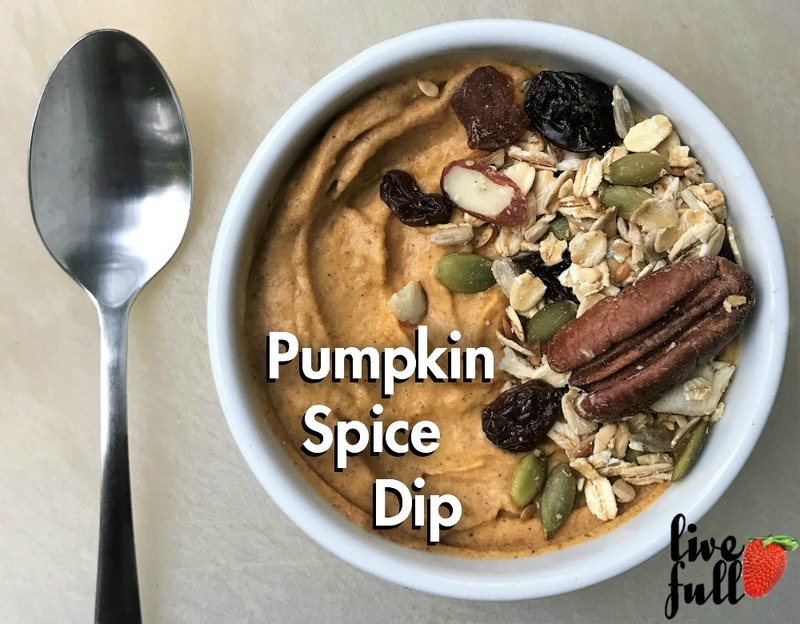 You can also play with the add-ins (using canned pumpkin, cinnamon, nutmeg and cloves for pumpkin pie oats; grated apple, walnuts and cinnamon for apple pie oats; unsweetened coconut, mango and pineapple for tropical oats; etc.). Need more support in finding quick and easy make-ahead meals and snacks that support your health and fitness goals? Let's talk! I realize that many people love autumn, but I loathe and detest fall, or as I like to call it, the sad and depressing transition to winter. I hate to see the warm sunny days of summer slip away, but there is one thing I LOVE about fall: The arrival of winter squash! Starchy and sweet, winter squash is also full of fiber, vitamin C and beta carotene that our bodies turns to vitamin A--so important for the immune system! Winter squash make lovely side dish for dinner, or a creamy seasonal soup, but one of my favorite ways to enjoy squash is at breakfast! I hope you'll give this simple preparation a try, where warm and cool, soft and crunchy, and savory and lightly sweet come together in a nutritious start to the day. Toppings: Raw nuts or seeds, or a sprinkle of a good quality granola like Michele's Granola, baked with ingredients that are recognizable as food (no soy protein isolate, palm oil or hydrogenated anything) and with less than 5 grams of sugar per serving. Cut the squash in half and use a spoon to remove and discard the seeds and pulp. Put the squash halves face down on a plate and microwave. * Microwave the squash for 5 minutes, turn the plate and microwave for another couple minutes, checking for done-ness by testing to see if a sharp knife will go through the peel with no resistance. Cook for additional time in increments of 1-2 minutes until the squash is done. Fill your squash halves with the yogurt, and top with the cinnamon, nut butter and other toppings. Makes 1 serving, possibly two if you have a large squash. * Don't love the microwave? Roast your squash the evening before on a cookie sheet! You want me to eat WHAT for breakfast?! Me: What does a typical breakfast look like? Client: Maybe a fat-free or low-fat yogurt with a handful of berries and coffee with a Splenda. Or maybe just a banana and coffee. Me: Do you get hungry between breakfast and lunch? Client: Oh, yeah. I'm usually starving! I try not to snack, though, until I get to lunch around noon. Client: A green salad. And coffee or diet soda. Sometimes I skip it. Me: Are you hungry between lunch and dinner? Do you snack? Client: Actually, I'm hungry pretty much all the time! I can get through most of the day, but then either right before dinner around 5 or in the evening after dinner is where I blow it. I will open the cabinets intending to just get out a granola bar, but I end up eating four or more. Or I'll eat a few bowls of cereal or a half jar of peanut butter. Or I'll eat a sleeve of crackers and cheese. Once I get started, I can't stop--my appetite is totally out of control. We know that "calories in, calories out" is a key equation in weight loss, and many of my clients with weight loss goals have a long history of "saving" calories by skimping on meals early in the day. But if you're eating a breakfast and a lunch that would barely meet the needs of a 7-year-old girl, and you're not one, it's going to catch up with you. White-knuckling it and depriving your body of energy (aka food) all day will inevitably lead to a binge. One of the toughest things that I ask my calorie-restricting clients to do is to learn to nourish their bodies at breakfast with food that gives them energy to power through their morning instead of restrict, restrict, restrict. My clients often get a panicked look when I suggest they eat a breakfast that tallies up somewhere closer to 350 to 500 calories when they've been terrified to break 150 calories. But did you ever hear that great expression, "A stitch in time saves nine?" Eating a proper breakfast and actually feeling satiated is a huge defense against over-eating later in the day. It doesn't have to be fancy: A bowl of oatmeal with added nuts and seeds (Gasp!) and some fresh or frozen fruit; a couple slices of sprouted grain toast with a salted half avocado and some nuts & seeds; scrambled eggs with plenty of bell peppers and spinach topped with black beans, salsa and a tablespoon of guacamole; or overnight oats with rolled oats, chia seeds, additional nuts & seeds, unsweetened almond milk and fresh fruit. It's a great reward when a client who's been restricting for years reports they've begun eating a proper breakfast and they're amazed how much better they feel, how much energy they have, and how much clearer they feel mentally. If you're a member of the breakfast restriction/evening binge club and don't know how to move forward, please be in touch. Oatmeal with raisins & brown sugar and smoothies made of flavored yogurt & fruit sound like better choices than, say, a visit to the doughnut shop, but they're loaded with sugar, coming perilously close to maxing out the daily recommendations for added sugar. Have you tried a savory start to the day? I ran 50 miles, so now I can eat anything...right? "You ran 50 miles? Man, you can go crazy at the Thanksgiving table!" I have heard some version of these sentences about 15 times since my 50-mile race on Saturday. So exactly how much of a caloric deficit did I create and how quickly could I blow it? Over the course of 50 miles, someone of my size burns somewhere around 4,500 calories. There may also be a post-exercise burn where my body continues to burn calories quickly, so I'll be generous and round up to 5,000 calories burned. 3,900 - 1,200 = 2,700 calories. Let's spend extra those calories! A big breakfast the morning after of waffles + syrup and hash browns would run around 1,000 - 1,200 calories depending on how greasy the grill was. Serious waffle photo courtesy Waffle House, where arteries go to get clogged. ...and that's it. The deficit is spent, and now it's back to healthful eating in reasonable, non-maple-syrup-coated portions. Seems like that level of effort should have enabled a runner to drag out the party for days, but unless your exercise habits are like those of a professional athlete, working out for hours day in and day out, exercise doesn't really enable us to eat whatever we want and maintain or lose weight. Many of these benefits of exercise you will be tapping into not just today but 10, 20, 30 years into the future! Who needs pizza when you have this rich + tasty soup on the table in less than 45 minutes?! And sure, with a little extra caloric deficit, exercise does afford us the ability to enjoy a treat here and there, but after a little splurge, I'm very happy to reward my hardworking body with a meal loaded with vegetables, lean protein and healthy fats. Click here for this recipe for Red Lentil Soup. Breakfast Cookies: Yay or Nay? Interesting that rather than listing OATS and RYE FLAKES separately in the ingredient list, the company chose to list these two ingredients as a "blend." Because items in an ingredient list are listed by volume, if oats and rye were listed separately, each ingredient would be pushed farther down the ingredient list, leaving the next ingredient as the first. And why wouldn't they want that item to be first? Make no mistake, "Enriched Flour" is white flour. Yep, the refined white stuff that we're all trying to avoid due to its impact on our blood sugar and our waistlines. Our bodies process white flour like sugar, spiking our blood sugar then sending us on a crash shortly after--not something I want my clients to include in their breakfast! White flour is stripped of its bran and germ, the parts of the whole grain containing vitamins, minerals and fiber. The flour becomes softer and more shelf-stable, but it must be "Enriched" by food manufacturers to add back in synthetic vitamins and minerals, essentially replacing some of what was stripped out. "High Oleic" is a descriptor that lets us know that canola oil is high in monounsaturated fats, which act to lower "bad" LDL cholesterol, except that added oil is not necessarily the best way to consume these fats. The good news here is that the product doesn't contain trans fats, the most dangerous fats to our hearts. There are four sources of sugar in this product: Sugar, Evaporated Cane Sugar, and below there's invert sugar and malt syrup. Many companies deliberately use several sources of sugar rather than one or two to push the individual sugar ingredients farther down in the ingredient listing. Were all of these sugars added together into "Sugar Blend" similar to the way the grains were combined into "Whole Grain Blend," my hunch is that "Sugar Blend" would be very close to the top, if not the first ingredient! Waaaay down here is the whole wheat flour. No need to enrich this whole grain flour, as it hasn't been stripped of its nutrients the way the white flour has. This is an emulsifier--it helps keep the ingredients from separating and is generally regarded as a safe food additive. Still, I wouldn't put it in my baked goods! This is a synthetic chemical preservative that must be used to keep this packaged product from going stale or rotting quickly. If you baked your own oat cookies, you know that you can't leave them out on a shelf for weeks or months--this preservative makes it possible to do just that. Datem--sounds like it's made from dates! Not quite. It's an acronym for Diacetyl Tartaric Acid Esters of Monoglycerides. Sounds tasty, right? It's a dough conditioner that provides volume. Is it safe? The FDA says so, but again, it's not something that HAS to be added to freshly made baked goods. FERRIC ORTHOPHOSPHATE (IRON), NIACINAMIDE, PYRIDOXINE HYDROCHLORIDE (VITAMIN B6), RIBOFLAVIN (VITAMIN B2), THIAMIN MONONITRATE (VITAMIN B1). Because there is very little inherent nutritional value in this food, the company has added in synthetic vitamins and minerals to improve the nutritional profile. 11 grams of sugar in each 50 gram serving translates into almost 1 full tablespoon of sugar (minus 1/4 teaspoon). In fact, simple math tells us that 22% of the product's calories come from sugar. That's not how I want my health-seeking clients to start their day! I always recommend my clients seek out breakfasts with solid sources of protein and fiber to keep them feeling fuller longer, and with a wimpy 4 grams of protein and 3 grams of fiber, this breakfast choice doesn't pass the test. Would I recommend it to a client? Absolutely not. A better option with whole grains, fiber and protein would be oatmeal with raw seeds & nuts, cinnamon and fruit, or if you must eat breakfast behind the wheel of the car on the way to school or work, even a quick homemade trail mix comprised of raw nuts and seeds would be superior. Need help deciphering food labels and creating a healthful diet? Let's talk!